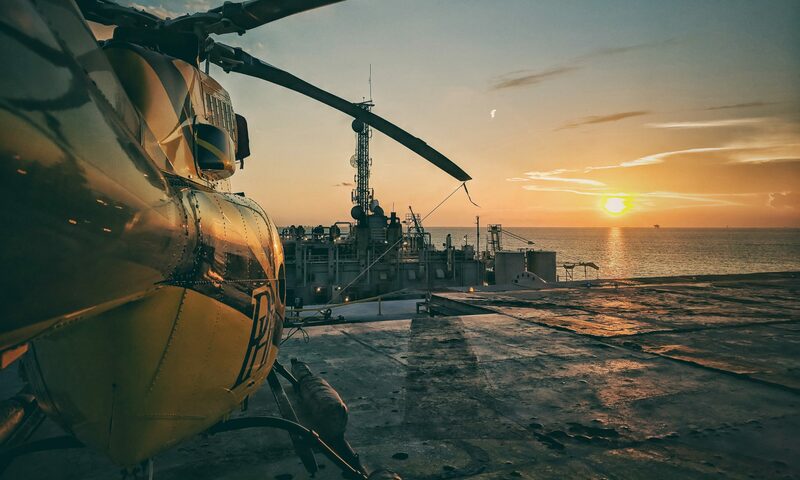 The first thing I want to say about flying in the Gulf of Mexico is that, due to the nature of our work, and the companies that operate down here, there’s not much to say about flying in the Gulf of Mexico outside of generalizations. Every company here has a pretty solid social media, and media in general, policy that I’m going to be very careful not to cross with this post. For many new helicopters the course of procession is somewhat clear, at least in the United States. We’re students, then we’re instructors, then we do tours or some other meat-grinder job to build turbine experience and time, and then we wind up doing something enjoyable – like HAA/HEMS, O&G, or Fighting Fires. For those of you aspiring to fly Oil and Gas who have been a follower of this blog, or other blogs, let me make something clear right off the bat; off-shore oil and gas is not an adventure. There’s not much exciting about it, it’s technical, it can be stressful, but ultimately it’s a lot of straight and level, slow pinnacle approaches, and shallow banking turns. Just the way we like it. The difference between flying off of a tuna boat barefoot in board-shorts and flying O&G is literally night and day. So, if you follow me on instagram (and if you don’t you should) www.instagram.com/theroamingpilot you probably have already figured out that I started in the Gulf with RLC, LLC and am now currently flying for PHI, Inc. Someone once asked me what the difference was between the two operators, the answer is paint. In fact over the decades, since long before I had my wings, as each operator learned and grew, and people moved from Bristow to PHI to RLC to Westwind, and back again, there has been a lot of mixing and matching. I would wager that if you were to take each operators GOM and put them next to each other they’d be equivalently thick, and would contain a lot of the same material. Flying in the Gulf of Mexico is a practice in safety, and for every eventuality there is a policy. For every decision, a subsection in “the GOM”. Weather questionable? Go to “the GOM”. Have a sick person that your customer wants to fly in? Go to “the GOM”. Need to explain why your downtime is what it is when the customer wants you to fly later? You guessed it – to “the GOM”. A typical day in the Gulf begins well before sunrise – pilots and line personnel scurry about ramps all across the Gulf states in preparation for sunrise launches. Pre-flights are conducted, fuel is sumped, manifests are tabulated, and coffee — so much coffee — is brewed. The general notion, for the light-ship VFR guys anyways, is to be ready to launch AT sunrise. Most customers want the blades turning at first light so that you can be off-shore as early as possible. After that it becomes business as usual. Every customer is different, as in any industry, with different needs and wants. Some pilots fly a few hours, others time out by the end of the duty day. Some pilots fly “deep water” and hit a fuel platform or two on the way to the job, while again others stay fairly shallow within a short hop to “the beach”. Some pilots draw off-shore contracts, and stay on platforms over night, this typically pays better than being a beach pilot, with the added bonus of not having to buy any groceries during your hitch. Some contracts are better than others, some customers are better than others, but for the most part all of the companies you could possible fly for down here are more or less the same in terms of operations. If you’re seeking adventure and thrilling flying, this is not the industry for you. What Oil & Gas pilots do enjoy is good pay, excellent schedules (most of us are on 14/14) and benefits. It’s good if you have a family back home, or if you just want some stability in your life. If you like to travel (like I do) that 14/14 is addictive, you’ll find yourself scoffing at the idea of a 5/2 shortly after starting a 1:1 schedule. So, back to the notion of a youtube/gopro video. There are a slew of reasons I won’t be doing that. I know that some other pilots have, so just hop on youtube and go down the rabbit hole. Here are my reasons why I won’t. It would be dreadfully boring. It’s also against my customers rules. So not only would it violate media and PED rules for PHI, my current customer has a pretty strict set of PED (Personal Electronic Devices) rules for their facilities too. Also, this isn’t the cowboy wild west of the South Pacific tuna fields – as I mentioned earlier this is a pretty well regimented type of flying. We have rules for altitudes and airspeeds, bird mitigation, bank and pitch angles, approach angles, orbits…the list goes on. Could an interesting video be made? Possibly. Do I know how to make what we’re doing exciting and interesting enough to hold a youtube viewer for 3-5 minutes? No. Do I really want to risk breaking the rules to get video footage for a non-paying blog gig? Also no. Previous PostPrevious Start. Stop. Start. Stop….Start?